I returned to Dubai last week to deliver our 63rd IT Manager Institute program. 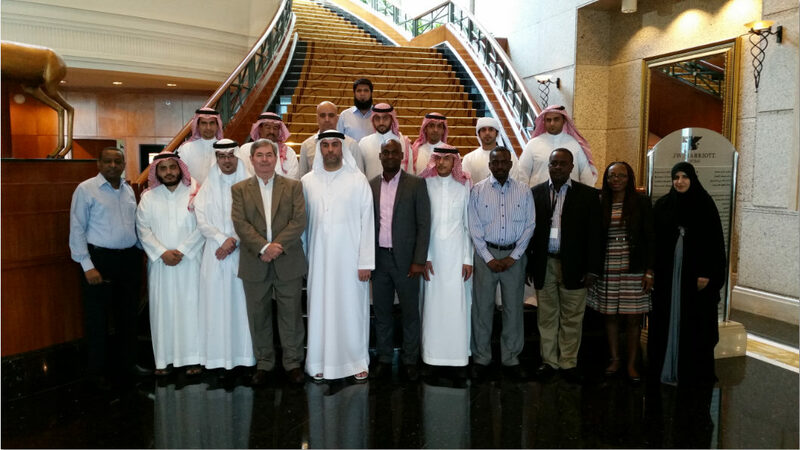 We had 20 managers from 8 countries – UAE, Saudi Arabia, Ghana, Nigeria, Sudan, Oman, Qatar, and Pakistan. This was an exceptional group of managers. IT managers have the toughest management job in your company! But, , , IT management is simpler and easier when you have a process to follow and tools that help, especially if you get them from an experienced manager. You don’t need theory, , , theory sounds good but doesn’t work in the real world. You don’t need a long drawn out program, , , you don’t have time for that. What you do need is a straightforward and practical IT management process to follow and specific tools that help you achieve IT success. You need something you can use now!! The IT Manager Institute program is by far the fastest way to gain these critical management skills. Ask any of our students. 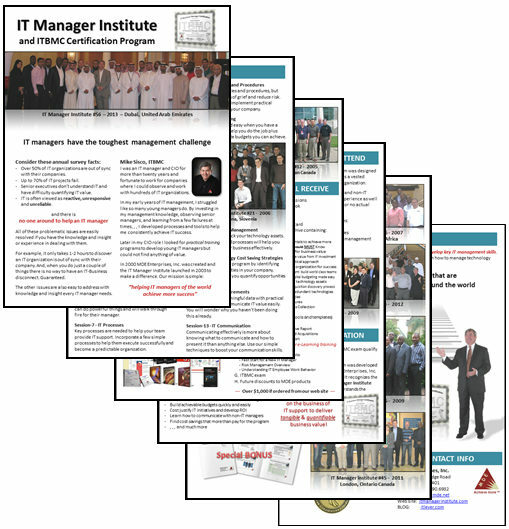 CLICK HERE to download the IT Manager Institute brochure. The Institute is better than ever, , , streamlined to help you achieve more success. Most IT organizations are reactive. Over 50% of all IT organizations are out of sync with the business they support, and the senior IT manager doesn’t realize it. IT organizations lose credibility every day due to a few issues that are easy to correct. Most IT managers do not have a management process to follow or tools to do their job. There is usually no one in the company who can help a struggling IT manager or CIO. These issues cost companies billions every year in wasted money and lost productivity. Instead of the IT organization being viewed as an enabler and a valuable investment, , , the business often views IT as a “necessary cost”. The sad thing is that a focused IT organization can leverage the productivity and reduce cost for every department in the company. No other organization has this type of leverage, , , but most CEO’s simply do not realize it because they haven’t experienced it. Instead of the CEO looking for a place to hide when he sees the CIO coming down the hall, , , he should be running to greet him because he knows the CIO has powerful insight that he wants to hear, , , things that leverage and provide tangible value for the company. The formula for a successful IT organization is pretty simple, but if you don’t know what it is and don’t have the tools to do the job, , , it might as well be “in Greek”. For example, are you aware that it only takes about an hour to determine if IT is out of sync with the business? Yet, over 50% of IT organizations are out of sync according to many studies, , , and don’t realize it. 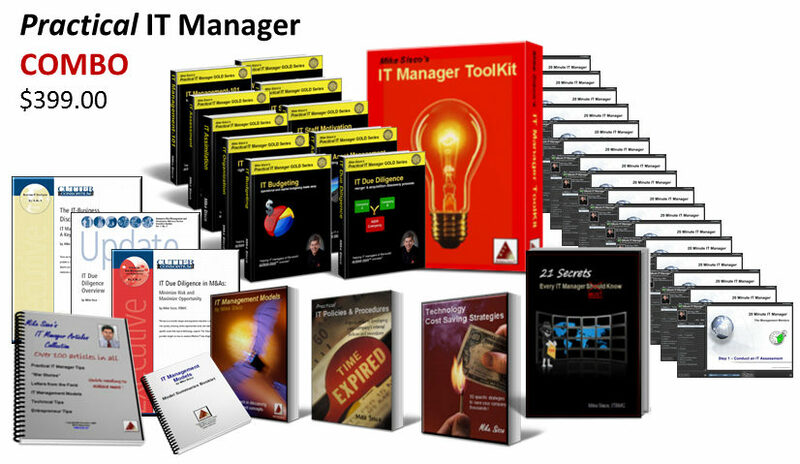 2013 marks the 11th year I’ve been teaching the IT Manager Institute. Hundreds of IT managers from all parts of the world have gone through the program and are achieving more success because of it. We have 100% positive feedback, something I’m extremely proud of. 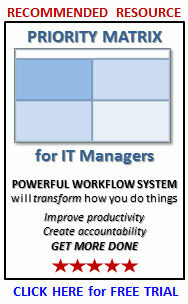 The reason is simple, , , the program hits the mark for what an IT manager needs to succeed. It gives you a simple process to follow and practical tools you can begin using immediately that will help you do the job. best courses I have ever taken. These are just a few of the hundreds of positive comments from IT managers who have attended the IT Manager Institute. The Institute teaches you a practical process to follow and provides specific tools that will help you and your IT organization achieve more success. Whether it is determining what your organization should work on, prioritizing work, managing projects, budgeting, motivating your team, or delivering an IT strategy, , , this program covers everything you need to learn in order to manage a successful IT organization. Stop struggling so much and learn “insider tips” on how to deal with the IT support issues you face every day. Learn how to take charge of your situation and to get your IT organization out of react mode. Real power comes with knowledge and insight of what to do and understanding how to go about it. Results occur when you follow a management process and have the tools to actually do the job. The IT Manager Institute gives you both. 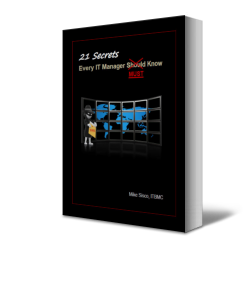 No theory, , ,just simple processes and tools that work, , , and are working for thousands of IT managers around the world. Attain the IT Business Manager Certification, ITBMC and demonstrate you know the importance of delivering business value for your company. When you do, business managers of the company will view their IT support organization in a whole different light. Many IT managers tend to procrastinate and over analyze. Don’t let this happen to you. If so, this is a dangerous approach. Without help, you are going to make mistakes and those mistakes can be very costly for your company, , , even your career. 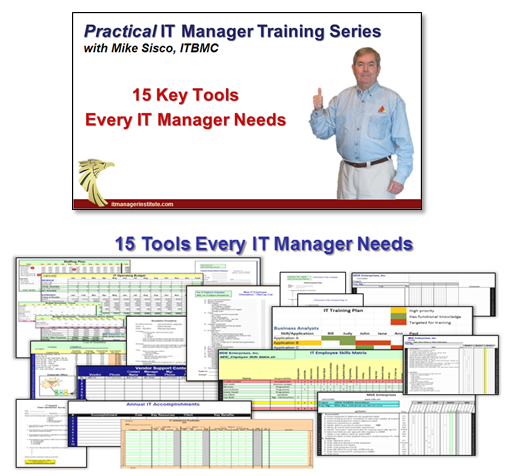 Attend the IT Manager Institute and I guarantee your perspective of managing an IT organization will change. When you approach “the business of IT support” differently from how you’ve been “managing technology”, the results will be noticeable to everyone around you. I encourage you to take charge of your career and make the investment that can make a real difference for your organization, your company, and most importantly for you. We have a great event coming up, , , would love to meet you there and have you join the managers who have attended the fifty-seven IT Manager Institute programs delivered so far. Can’t afford the class or travel? Last week’s program in Dubai was a huge success with 31 managers from 6 countries attending our 56th IT Manager Institute. I’m the ugly guy in the middle in the gray suit. This was a super group of IT managers and executives and I enjoyed every minute with them.